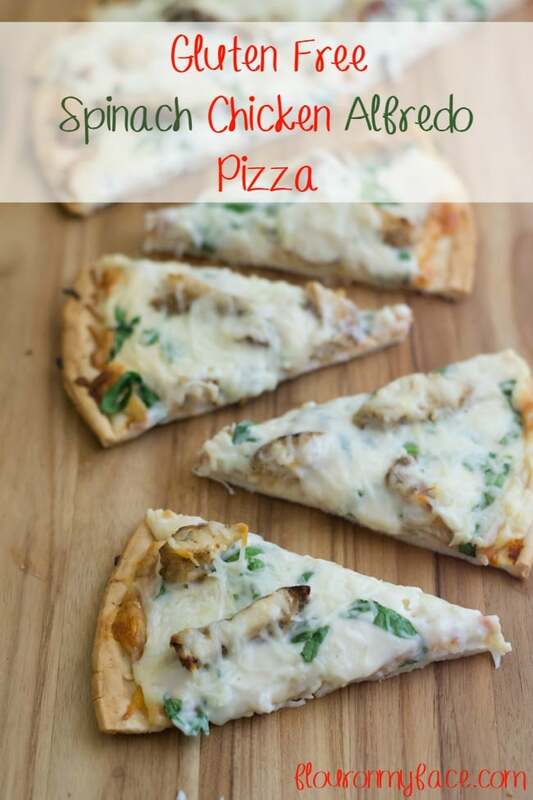 If you are looking for a gluten-free pizza option, this Gluten Free Spinach Chicken Alfredo Pizza recipe is going to have you doing the happy dance! Did you know that there are about 15 million Americans living with food allergies? One in every 13 children are affected and 20 million people experience distress after eating gluten? Thankfully none of my family members currently suffer with food allergies, but last year I went on a low carb diet. Even though gluten-free products are far from low carb once I started eliminating carbs from my diet I immediately noticed that whenever I ate pizza which was the only carb filled treat I allowed myself I would get pains in my stomach. Am I gluten intolerant? Who knows? But this pizza-loving gal had to have her pizza. 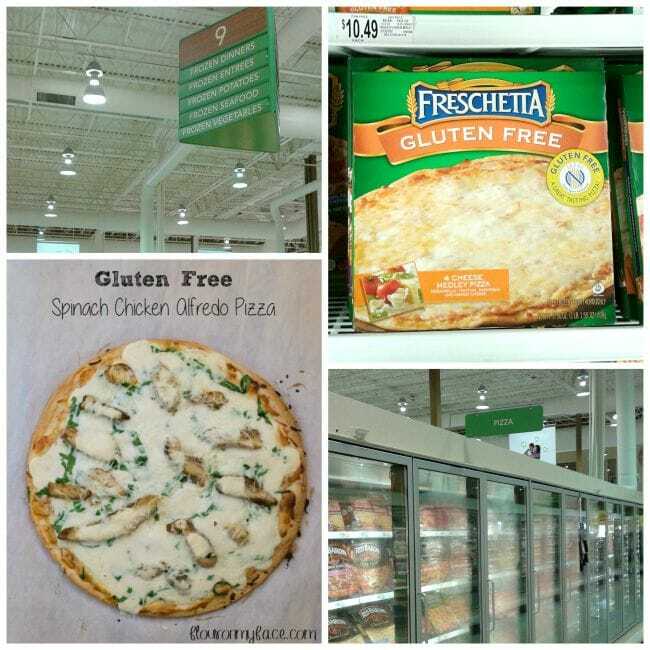 I was so excited while I was shopping at Publix and saw that Freschetta® came out with their Freschetta® Gluten Free Pizza. Freschetta® Gluten Free Pizza is available in Freschetta® Gluten Free 4 Cheese Medley Pizza and Freschetta® Gluten Free Signature Pepperoni Pizza. The Freschetta® Gluten Free Pizza is available in a single serving size, making my gluten-free lunch options so much easier or in a family full-size gluten-free pizza perfect for family pizza night. I used the family size Freschetta® Gluten Free 4 Cheese Medley Pizza for this Gluten Free Spinach Chicken Alfredo Pizza. Remove pizza from box and plastic wrap. Place pizza on a piece of parchment paper or aluminum foil. 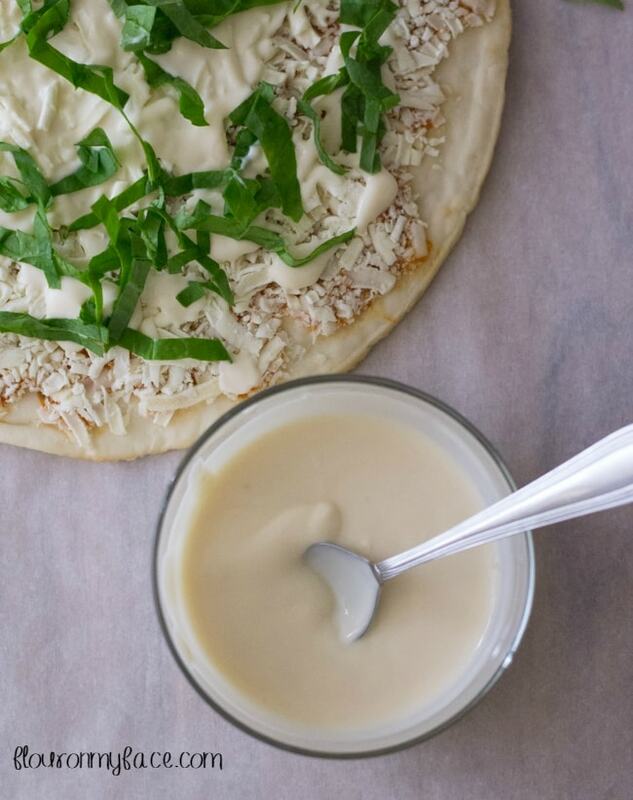 Drizzle about half of the Alfredo sauce over the pizza. Sprinkle the spinach over the top of the pizza. Arrange the chicken over the top of the pizza. Drizzle the remaining Alfredo sauce over the chicken. 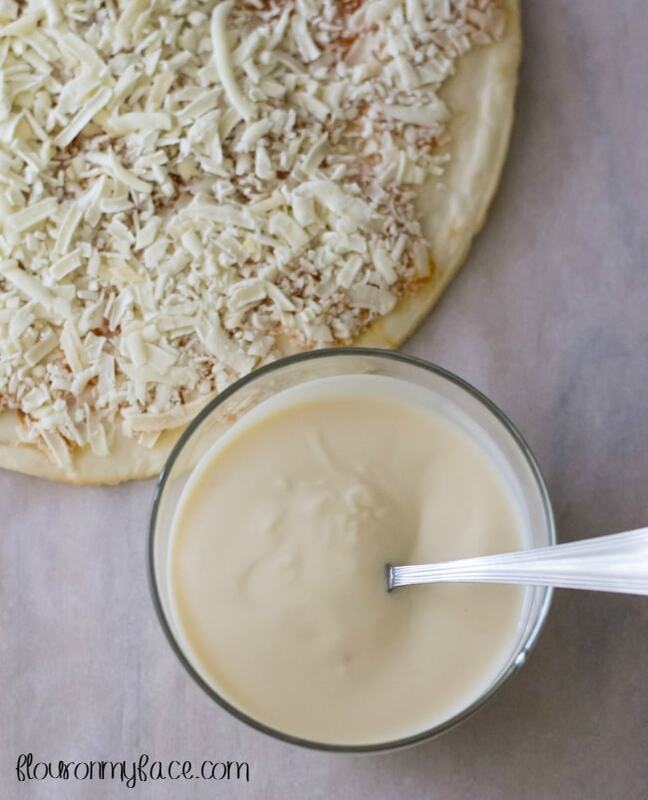 Sprinkle the Mozzarella cheese over the pizza. Pick the pizza up by the corners of the parchment or aluminum foil and place it on a cookie sheet. Bake for 12-16 minutes until the topping is cooked through and the bottom is golden brown. Remove from the oven and let cool for about 3 minutes before serving. 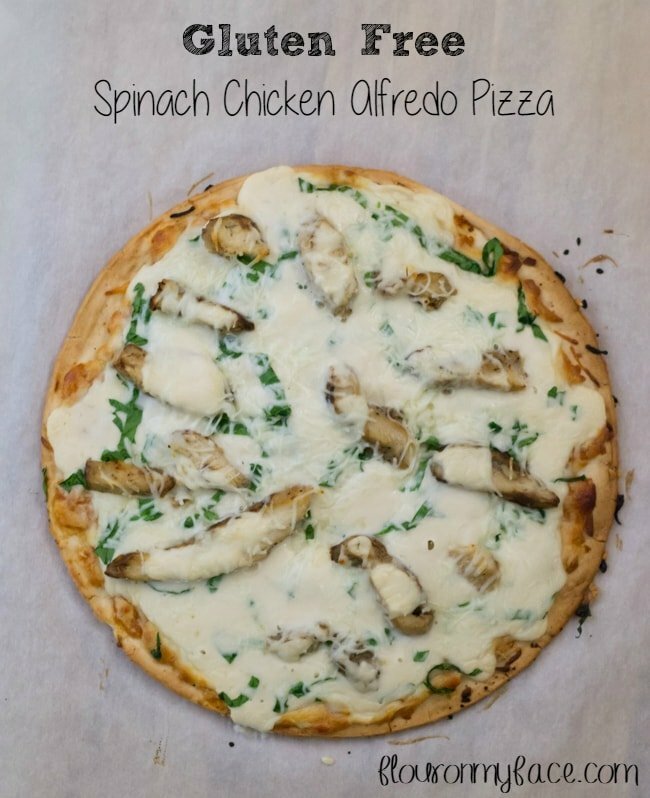 This GF Spinach Chicken Alfredo Pizza recipe turned out so good. 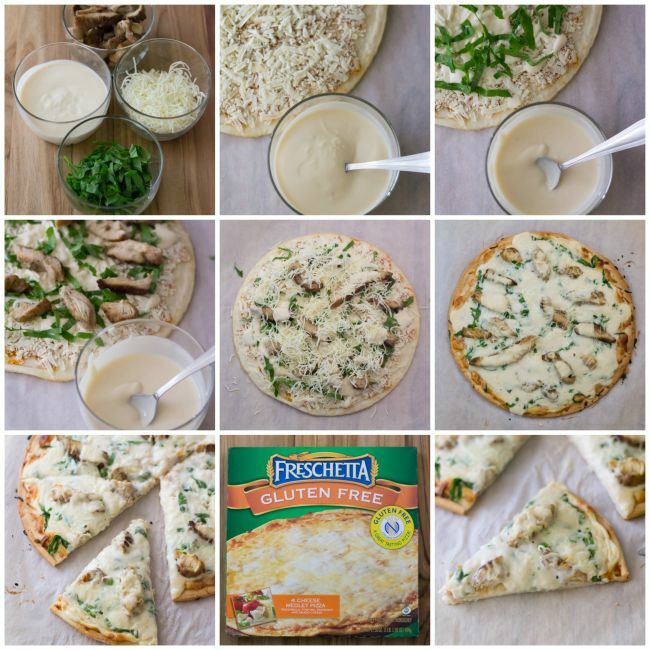 The GF Freschetta Pizza was packed full of cheesy chicken alfredo flavor with a deliciously crispy gluten free crust. On it’s own it had plenty of mozzarella cheese straight out of the box but I added some extra to hold all the spinach chicken alfredo toppings together. Want to save $1.50 on 2 Freschetta’s Gluten Free pizzas? Click on the link to print the Freschetta digital coupon. Coupon only available 8/16-9/06 so print it now! Looking for more Freschetta Pizza options? Check it out here.